• To cope with the daily demands of your pressured lifestyle you require more energy. • Don’t feel drained by stress. 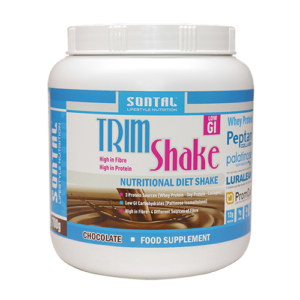 Raise your daily energy levels and maintain a healthy body with SONTAL Trim Shake. • You can have all day energy that allows you to perform at your peak. • Stabilizes blood sugar levels. • Inhibits fat formation and increases metabolism.